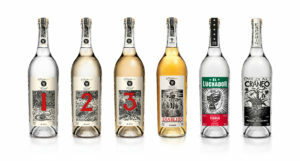 Made from 12-year-old agave, El Luchador Organic Tequila Blanco 110 gains inspiration from Mexico’s famed masked fighters—its 110-proof makes it “the fighter of the family.” A distinct terroir and extra-mature agave impart a deep, velvety nature. This still-strength tequila debuted in 2015, and serves as an ideal agave digestif or foundation for classic cocktails. Please use the Product Finder to locate El Luchador Organic Tequila Blanco 110 in your area. El Luchador Organic Tequila Blanco 110 is made by 123 Spirits, the maker of 123 Organic Tequila and Cráneo Organic Mezcal.